That’s right! Look at our reflection holding up that thug-life gang sign! Lenovo, now one of the world’s largest PC companies, have recently unveiled two new products for the Philippines – the U300s Ultrabook PC and the ThinkPad Android Tablet. As you can tell, the Ultrabook is the newest interpretation of the Ultraportable category – promising Intel’s core i5/i7 performance in a small, 1.3KG / 14.9mm package. While the second product, the ThinkPad Tablet, is the second tablet that the Chinese company will be bringing into the country. Despite their PC roots, the ThinkPad Tablet is an Android Honeycomb-powered device and includes some business-optimized features – plus an optional keyboard accessory portfolio for faster typing on-the-go. The Lenovo U300s is the company’s newest entry in the line of sleek, portable devices. It succeeds the Ultraportable design that they launched last year with the U260, improving on a lot of its predecessors design and specs. The U300s is now carved from a single-block of aluminum enabling it to be a mere 14.9mm thin – thinner than even some phones today. Features include either an i5 or i7 processor; 4GB DDR3 memory, SSD storage up to 256GB, Bluetooth, USB 3.0, HDMI outputs, and an extended 8-hour battery. There’s a little sacrifice to maintain the new body design though – a fixed internal battery, and lack of SD or Ethernet ports. Still, for a powerful Ultrabook (rated to boot under 10 seconds), its worth it. The Lenovo U300s starts at PHP 55,995 and comes in Graphite Grey and Clementine Orange. 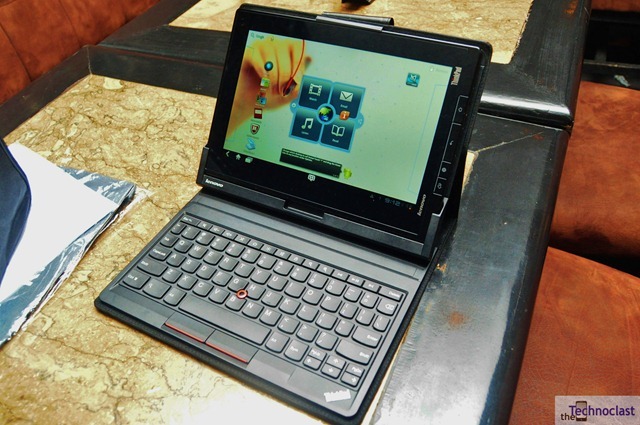 The Lenovo ThinkPad Tablet is one of the newer entries of the company into the foray of portable tablet computing. (They also launched the IdeaPad K1 earlier in 2011.) In keeping with the ThinkPad tradition, an optional portfolio case is available with a keyboard – embellished with the trademark ThinkPad pointer nub in the middle. While the tablet itself sports full sized USB connectors, SD card slots, and allows for USB-based keyboards and mice. Specs-wise, its running on a Dual-Core Tegra 2 1Ghz processor, has a 10.1” 1280×800 screen, 5MP camera, 2MP front-facing camera, and the usual Honeycomb connectivity options. 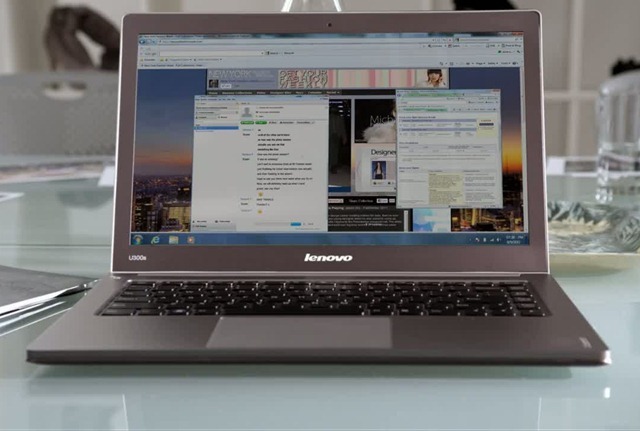 An optional digitizer pen can also be used for hand-written input, and the device comes with a handful of popular apps pre-installed – including some of Lenovo’s business apps for added security. You can get the 32GB variant right now for a price that starts at PHP 28,000. If you want to learn more about these two new devices, check out the embedded videos and pictures below, or you can check them out at your nearest Lenovo retailers.